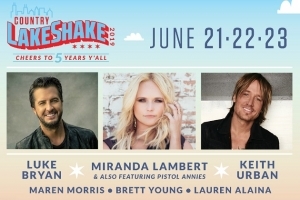 Country Lake Shake Line Up Is Announced! 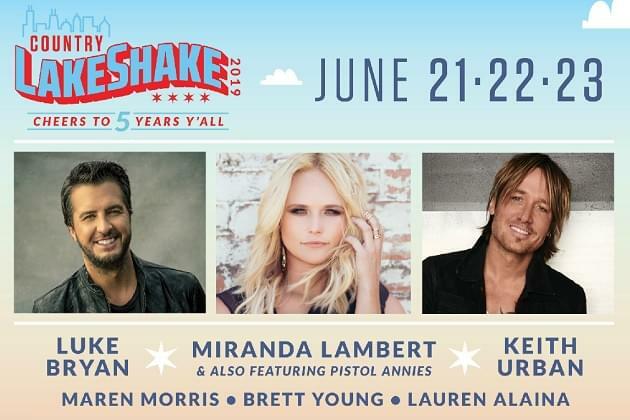 We’re proud to announce COUNTRY LAKE SHAKE! 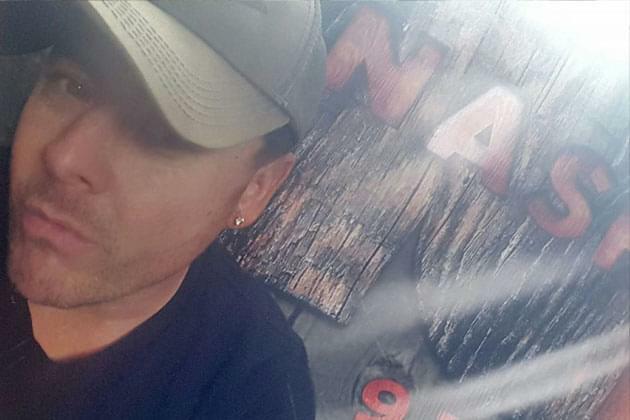 On Lakefront in Chicago Huntington Bank Pavilion at Northerly Island June 21-23,WITH KEITH URBAN, LUKE BRYAN, MIRANDA LAMBERT, MAREN MORRIS, BRETT YOUNG, LAUREN ALAINA, GRANGER SMITH, MIDLAND, CLINT BLACK, CASSADEE POPE, AND MORE! Tickets On-Sale–Friday, November 16th at 10am!